Growing degree days (GDD) are commonly used to schedule the beginning of spring nitrogen fertilizer applications in grass seed crops. Typically, 200 GDD (base 0 C) from January 1st is used as the opening date of spring nitrogen fertilizer applications. This number of GDD marks the beginning of the period that the average daily temperature reaches 5 C (41 F) and as a result, grass seed crops resume growth after winter quiescence. The current (February 13th) GDD is 197 GDD at Hyslop Farm near Corvallis. At the current rate of GDD accumulation, 200 GDD should be attained on the 14th. The long-term average date for attaining 200 GDD is February 14th. Posted in Crop Development, Grass Seed Crops, Nutrient Management, Seed Production. Annual ryegrass [Lolium perenne L. ssp. multiflorum (Lam.) 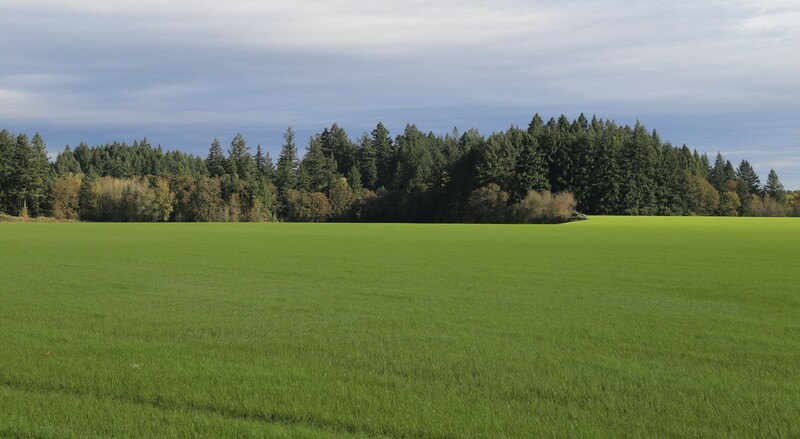 Husnot] seed crops have been produced on some Oregon farms continuously for decades without rotation of crops or farming practices. The long-term influences of this continuous cropping of annual ryegrass have not been examined nor have any long-term practices been evaluated in annual ryegrass seed production. Long-term annual ryegrass cropping systems trials were initiated in the 2005-06 crop year in a project led by former OSU Extension Agent, Mark Mellbye. His vision was for a 9-year project to study the long-term effects of several cropping practices on annual ryegrass seed production. Annual ryegrass seed yield varied with tillage and establishment system, and environment. No-till produced the lowest seed yields. Environment x system interaction effects governed seed production characteristics. Increased tillage frequency and residue removal are required to sustain long-term seed yields. Yield differences among systems were attributable to seed number. Chastain, T.G., C.J. Garbacik, and W.C. Young III. 2017. Tillage and establishment system effects on annual ryegrass seed crops. Field Crops Res. 209:144-150. Posted in Annual ryegrass, Grass Seed Crops, Residue Management, Stand Establishment. 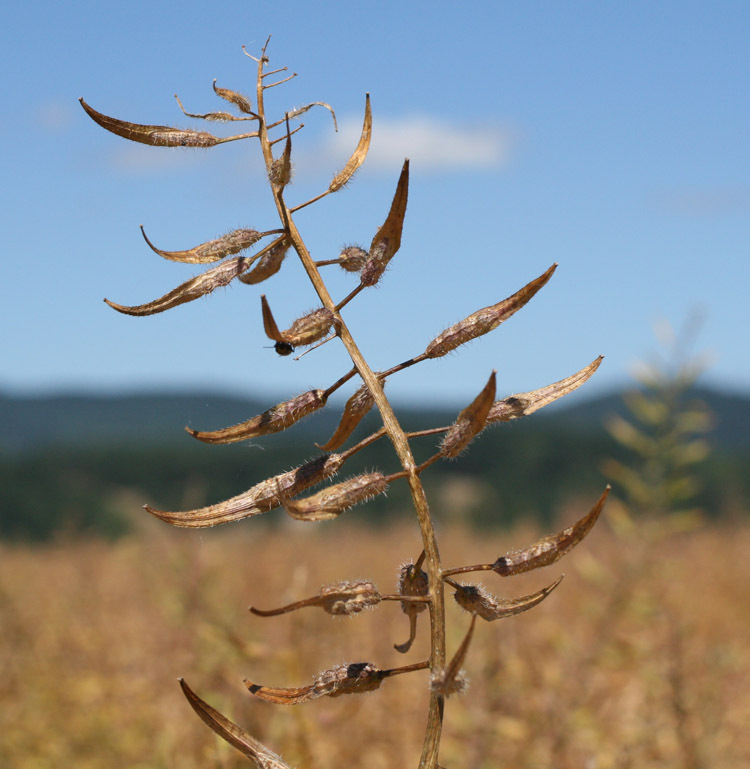 Here’s an article just published by our seed production team on nitrogen’s effect on seed yield and other seed production characteristics in yellow mustard. Trials were conducted on this crop over a 3-year period at OSU’s Hyslop Farm by Alyssa DuVal, a former graduate student and current instructor in the department. 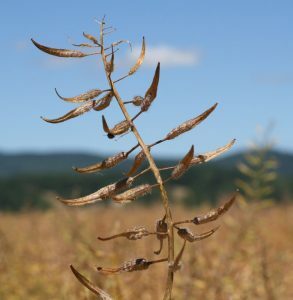 Yellow mustard is a potential seed crop for the high rainfall areas of western Oregon and unlike many other Brassica family crops, there is no threat of crossing of yellow mustard with the region’s vegetable seed crops. Duval, A.S., T.G. Chastain, C.J. Garbacik, and D.J. Wysocki. 2017. Nitrogen affects seed production characteristics in yellow mustard (Sinapis alba L.). Agron. J. 109:995-1004. Applied N increased seed and oil yield in yellow mustard in a high rainfall environment. Seeds m–2 was the most influential factor in determining seed yield in yellow mustard. Applied N increased height, biomass, tissue N content, leaf area index, and crop growth rate. Posted in Crop Development, Crop Ecology, Nutrient Management, Oil Seed Crops, Seed Production. OSU is presenting three seed production field days in May where the public can visit research farms and learn more about research activities. The field days provide a convenient choice for those located in either the western or eastern parts of the state. May 18 – Native Wildflower Seed Production – Seed production of native plants in eastern Oregon. Starts at 9 AM and ends at noon. Located at Malheur Experiment Station, 595 Onion Avenue, Ontario, OR. Phone 541-889-2174. May 25 – Grass Seed Field Day – Various topics focused on grass seed production practices and pests and more. Starts at 8:00 AM and ends at noon. Located at OSU’s Hermiston Agricultural Research and Extension Center, 2121 S. First Street, Hermiston, OR 97838. Phone (541) 567-6337. May 24 – Hyslop Farm Field Day – Plant growth regulators and nutrient management in grass seed crops, weed management in grass seed crops, cereals, and more. Starts at 8 AM and ends with lunch provided by the OSU Crops Club. 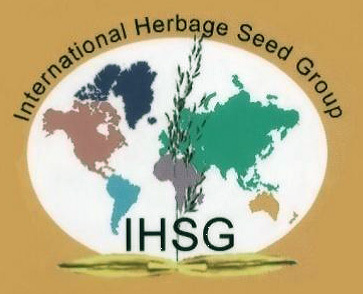 Posted in Grass Seed Crops, Native Plant Seed Production, Seed Production.